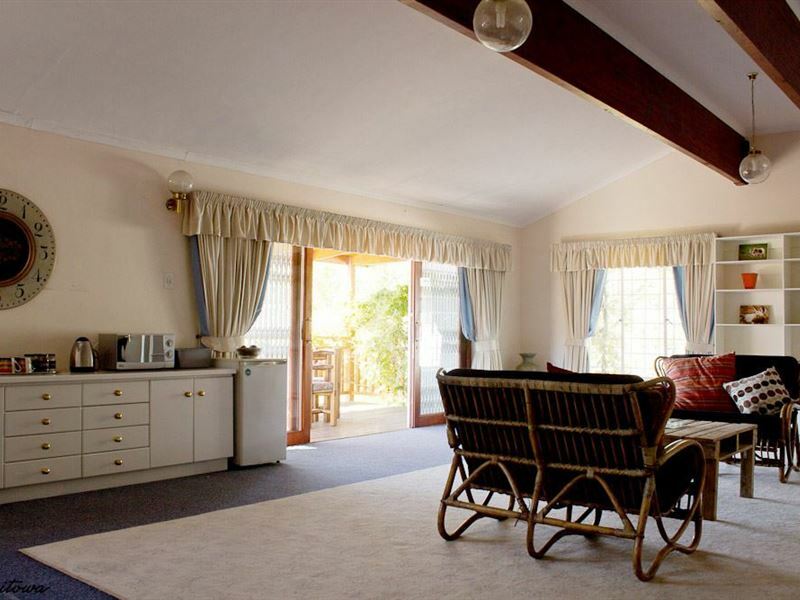 Orchard Guesthouse offers a tranquil escape from modern distractions and city life. 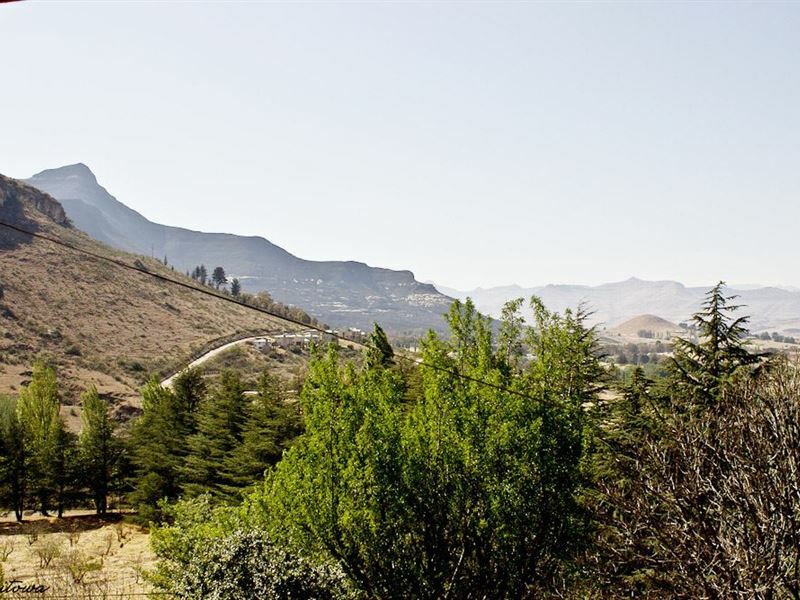 It also offers stunning views of the mountains of Clarens and is ideal for families or groups of friends.<br /><br />The house has one spacious guest room with single- and queen-size beds. 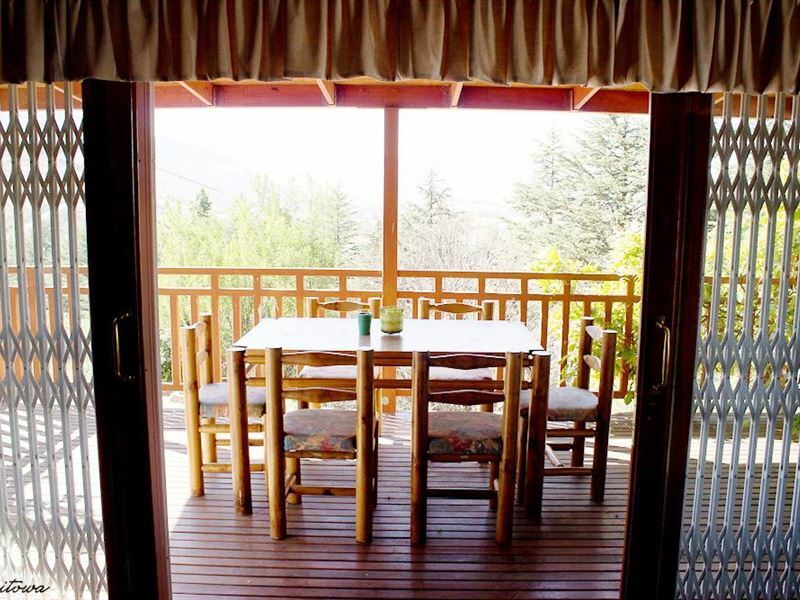 The private balcony is the ideal place to appreciate views of the surrounding apple orchards and the terraced garden.<br /><br />Guests can make use of complimentary tea and coffee facilities before exploring the wonders of the town. There is a hiking trail within walking distance of the house, a great way to pass away the hours for nature lovers.<br /><br />The town also has an eclectic mix of restaurants, shops and galleries for guests to explore. Guests can also visit the Golden Gate Highland National Park, or just spend your days appreciating picturesque views and lovely weather. 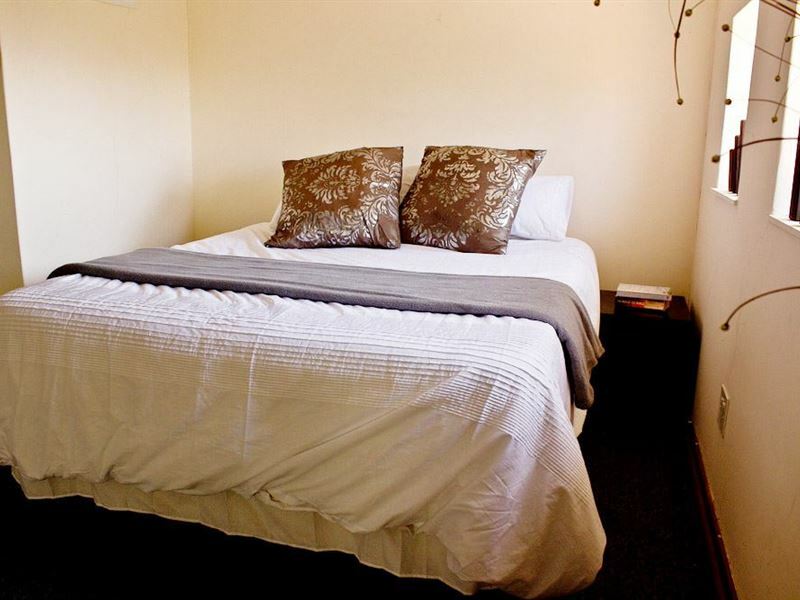 "We had an amazing time in Clarens...and enjoyed staying at Orchard Guesthouse because although close enough to town it was also nice to get away especially on the busy busy weekends.Although advertised as a self-catering unit...it should be noted somewhere that the facilities for cooking are very basic.Overall....A great place to stay, with great, friendly people managing the place. We look forward to returning." 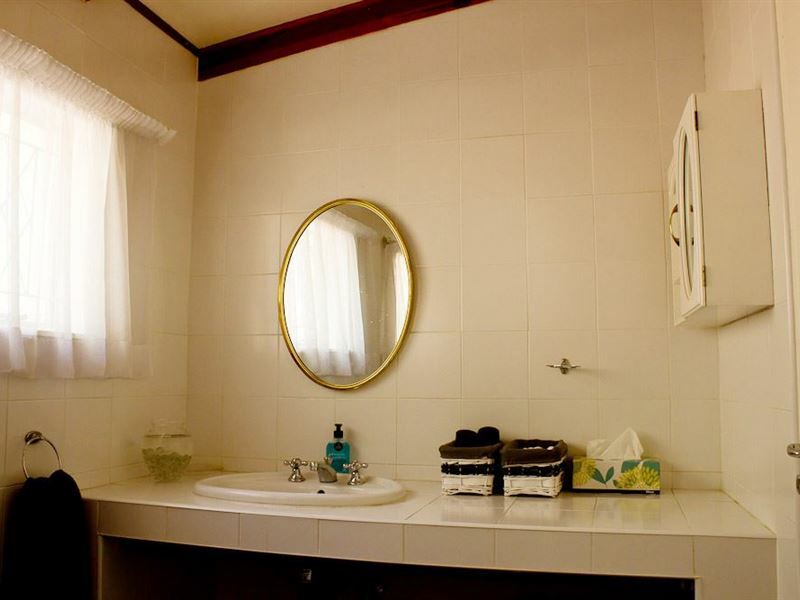 "We really enjoyed our stay, it has a beautiful garden! Very relaxing, with a stunning view of the mountains!" "It&apos;s a really nice and organized place to stay. Close enough to the town centre."